A leader in your company has just been promoted to create a new business unit, hire a management team, and boost company sales. She’s been a great performer in the past, but this new role is outside her comfort zone. As a human resources professional, you want to provide the right kind of development to support her success. When you look at the organization’s talent development portfolio, nothing seems to fit. It’s all too general or focused on fixing poor performers. This leader needs a highly customized, one-on-one, coaching experience to get her out of her comfort zone and get the business up and running. Executive coaching is the missing ingredient in the recipe for the leader’s success. But how can HR leverage executive coaching as part of the organization’s development experiences? Executive coaching is a powerful way to develop leaders as they grow and take on new challenges. However, many HR professionals and managers do not include executive coaching as part of the company’s development offerings. It’s easier than you may think. 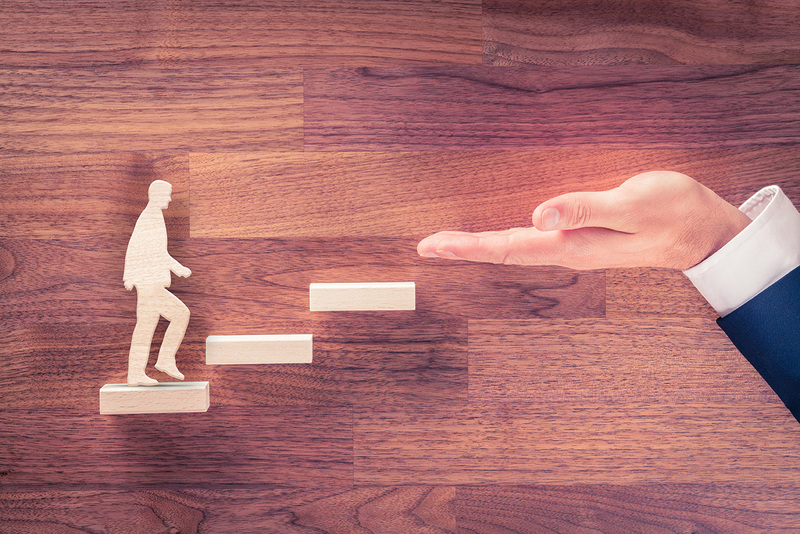 Here are four steps to create confidence in executive coaching engagements and ensure they are a meaningful element of your talent development portfolio. Don’t let the label fool you. Coaching isn’t just for executives or top-level leaders in the organization. The word “executive” refers to the format: a one-on-one engagement for a key leader with an external coach for six to nine months including frequent coaching sessions. While coaching can be an appropriate development experience for leaders and employees at various levels in the organization, there may not be enough resources to coach everyone. Development budgets may not be robust enough to hire coaches for every leader. It may not be reasonable to take the time and attention of several employees away from the business to focus on coaching engagements at the same time. The term “executive coaching” also evolved from the need for organizations to allocate resources where coaching can have the greatest impact on the individual and the organization. In many cases, the greatest impact is on leaders who are higher in the organization structure. Coaching can create a powerful ripple effect when a leader transforms her thinking and actions that positively impact her team, her peers, and the parts of the business that she leads and influences. Like other talent development experiences, coaching should be evaluated and prioritized based on a thorough development needs analysis. A leader is ready for executive coaching when she understands the goal she wants to achieve, but it’s beyond her reach. She can’t achieve the goal with her current knowledge, skills, or abilities or by delegating it to others. Like the leader who has just been promoted to create a new business unit, she’s interested in the goal, but she doesn’t know how to achieve it. She will have to stretch beyond her current capabilities to achieve what she really wants. Crafting stretch goals helps HR determine if existing talent development offerings can help or if executive coaching is the best resource. Since executive coaching is a significant investment for everyone involved, reserve coaching for development goals that can’t be achieved through the organization’s current programs and experiences. The stretch goal is an important factor in a successful coaching experience. People are motivated when they are curious about achieving something that is just out of reach. We are more likely to learn, explore new possibilities, take different approaches, and change our behavior when we really want success in a goal that is just beyond our current capabilities. What does success look like when you achieve the goal? Describe what you see or experience. What do you expect to do new or differently when the coaching engagement ends? What is the impact that you expect to have on your peers, your team, your leader, and the organization when coaching is complete? Are you prepared to invest the time, effort, and energy required to be fully engaged in a coaching experience? Are you ready and willing to participate in self-awareness activities, assessments, and peer/team feedback as part of the coaching engagement? Executive coaching requires more personal investment than other development experiences. The investment includes time, effort, and energy. Make sure the leader is ready to commit to the coaching engagement and the investments necessary to ensure success. Selecting the right coach is part science and part art. For the science of coaching, start with coaches who are certified by the International Coach Federation. The coaching credentials are Associate Certified Coach (ACC), Professional Certified Coach (PCC), and Master Certified Coach (MCC). Certified coaches have demonstrated coaching skills, proven performance in coaching competencies, and are committed to continuous improvement in the coaching profession. Their coaching skills have been reviewed and acknowledged by an independent professional association with strict guidelines on what coaching is and what it is not. Certified coaches also abide by a strong code of ethics and established practices for the coaching engagement, so your organization doesn’t have to create them. Certification removes the risk from finding a qualified coach. What coach education, training, and certifications have you completed? What are your coaching approaches, methods and practices? Describe how they are incorporated into the coaching engagement. What assessment instruments do you use as part of the coaching process? How do your coaching methods help clients achieve results and goals? Tell me about your most challenging coaching engagement. How did your coaching approach and methods overcome that challenge to help the client achieve success? Engage the leader to select the coach. Introduce the leader to two or three coaches. Ask each coach for a free, thirty-minute conversation with the leader. The focus of this conversation is the “fit” and connection between the coach and the leader. What can I expect you to do as my coach? How will you keep me accountable for results? What kind of clients have you worked with, and what results did they achieve? How would we work together? How often would we meet? Would it be by phone or face to face? While rapport and a sense of connection are vital to the coaching relationship, similarities between the coach and the leader are not good predictors of coaching success. The coach does not need to be an expert in the leader’s industry, company, or profession. A coach who has accounting experience may be an excellent coach for a marketing for finance executive. Avoid the “like me” trap when selecting a coach. Select a coach who is credible and engenders confidence that leaders can achieve the goals they create for the coaching engagement. Include executive coaching in talent development offerings in your organization. Create coaching engagements with confidence by identifying the right leaders, crafting stretch goals, preparing leaders for coaching, and selecting the best coach.